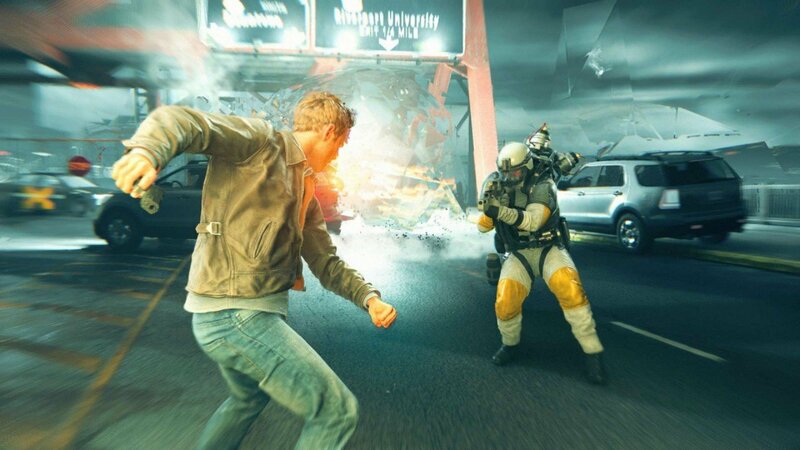 Remedy Entertainment’s Quantum Break just can’t quite break free of its mediocre sales. When the game first came out in April for PC and Xbox One, the time-manipulation action-oriented platforming title was critically acclaimed among reviewers as a proper spiritual successor to Remedy’s Alan Wake. This makes sense, of course: The time mechanics in Quantum Break follow in the same vein as the use of light and darkness within the critically and commercially acclaimed popular action-psychological horror title. But now that Quantum Break has hit Steam, the game’s numbers aren’t promising, according to Steam Spy. As the site reports, there’s approximately 51,790 owners of Quantum Break on Steam, with a margin of error around 5,496. In the past two weeks, the average playtime rested around four hours and 52 minutes, meaning most players are clocking out within five hours of play. Approximately 31,554 people played Quantum Break in the last two weeks, with a margin of error for 4,545 players. For a major new IP title from Microsoft, those are incredibly low numbers for a launch on Steam. This, of course, falls in line with earlier reports on Quantum Break‘s sales across PC and Xbox. As Daniel Ahmad pointed out on Twitter in May, the game “didn’t bomb” but still demonstrated “very poor performance” when it hit as a new IP. In June, the game failed to sell over 200,000 units at US retail stores, and the Japanese market hardly batted an eye at the game itself, only moving an additional 5 units between one week. Quantum Break first month sales in the US at retail. Quantum Break also had a poor 2nd month, the game has yet to sell over 200k at retail in the US according to NPD's Packaged Software feed. The launch of Quantum Break in Japan pushed Xbox One weekly hardware unit sales from 207 last week to 212 this week. Microsoft’s decision to put Quantum Break on Steam was obviously an attempt to bolster the game’s sales. But Steam Spy’s data suggests the game’s release on Valve’s platform hasn’t changed much. Microsoft will certainly need to rethink their approach to major new IPs with Quantum Break‘s inability to move large sales numbers in its lifetime.